Hello Everyone! Happy New Year! In the last lesson, I showed you some ways to play triad arpeggios up the neck while staying inside the major scale. Also, we covered some three-octave arpeggios and triads moving in a up-down type fashion. 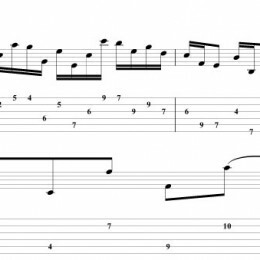 This lesson will focus more on how you use these triads over a progression. 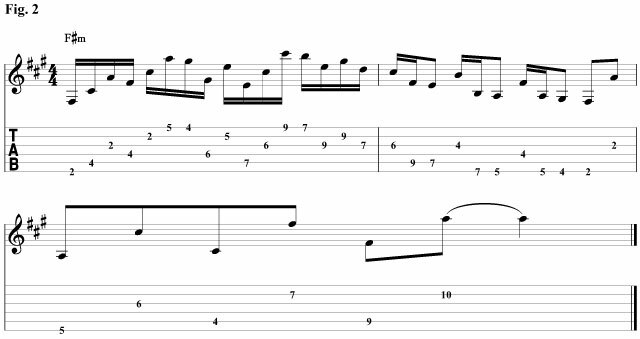 The important thing is to know where to use these arpeggios as they can really help make your playing more melodic. You don’t have to play the full arpeggio, but it does sound cool at blazing speeds. The goal here is to be able to hear the chords just by playing the arpeggios. Over time, memorize the notes in all the triads in all twelve keys all over the fingerboard. Ok that is it! Be sure to make up your own triad arpeggio ideas, and don’t forget to visit mikecampese.com.